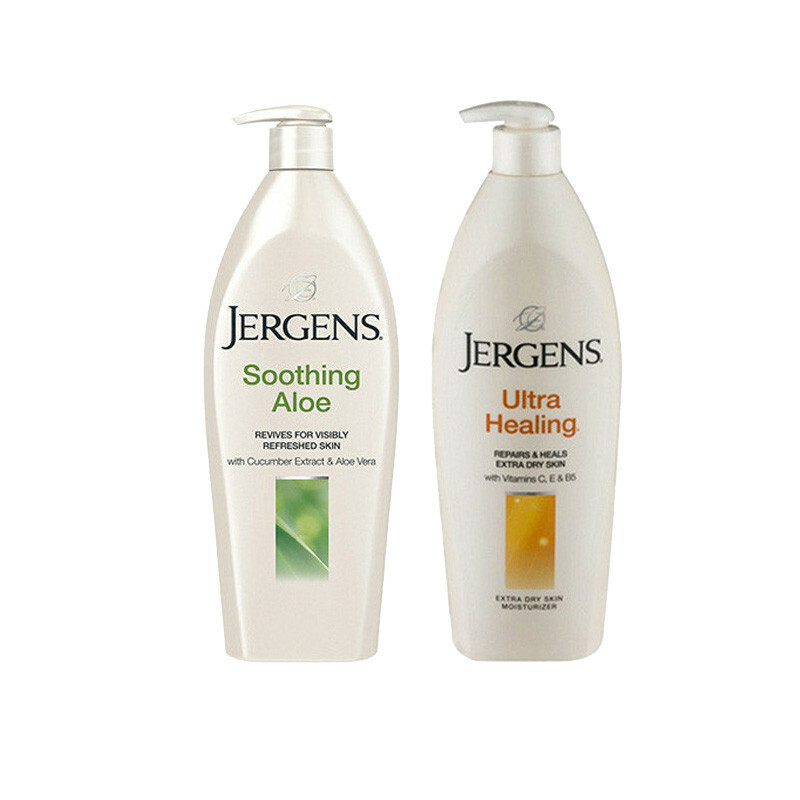 Jergens Soothing Aloe and Jergens Ultra Healing Skin Moisturizer rich mineral content they make your body skin softer, smoother & healthy and ultra heeling lotion makes your skin smooth soft and supple for long time. Jergens aloe soothe lotion improves skin's tone, texture, and luminosity With a unique illuminating hydralucencetm blend, cucumber extract, and pure aloe vera Revives skin's natural moisture to relieve dry, uncomfortable skin, leaving it noticeably refreshed and hydrated. Absorbs quickly and locks in moisture for 24 hours. Jergens gives you this Ultra Healing Extra Dry Skin Moisturizer that penetrates through five layers of your skin and keeps it feeling so soft and silky.This lotion Improves skin‘s tone, texture, and luminosity and absorbs quickly and locks in moisture for up to 48 hours.